This epistle to the church at Corinth is a masterpiece of spiritual truth applied to church crises of both belief and practice. Hodge's commentary on it is an undeniable classic. 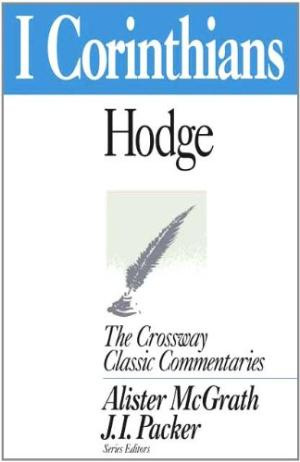 I Corinthians : Crossway Classic Commentary by C. Hodge was published by Crossway in February 1996 and is our 49132nd best seller. The ISBN for I Corinthians : Crossway Classic Commentary is 9781856841245. Be the first to review I Corinthians : Crossway Classic Commentary! Got a question? No problem! Just click here to ask us about I Corinthians : Crossway Classic Commentary.